Some years back, I wrote a blog titled Too Close To Home. In it, I talked about the problem of becoming so familiar with your own surroundings, you become blind to the photographic opportunities right in your own backyard. In 1974, through a wonderful set of circumstances, Ansel Adams asked me to be his full-time assistant. I moved from the San Francisco Bay Area to Carmel. I was thrilled to be surrounded by such wonderful photographers and scenery. It was inspiring, to say the least. I photographed in Big Sur, Point Lobos, Cannery Row and any and all places in between. As my time in Carmel stretched to three, four and then five years, I found myself photographing less and less in the area. Although I always had my 4x5 camera with me, I found excuse after excuse not to photograph. The "light wasn't right," "the weather was blah," "I was late for..."
I left Ansel's employ in mid-1979 to move to San Francisco and open my own advertising studio. 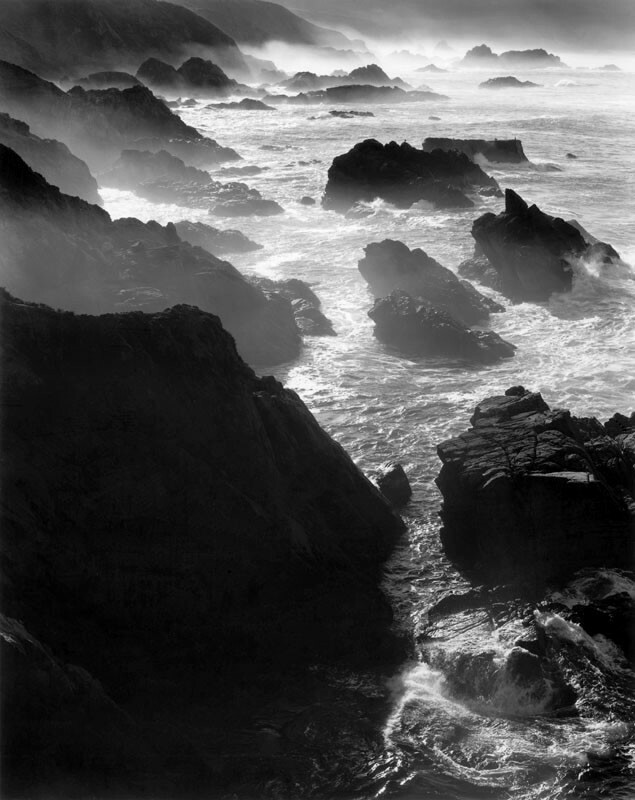 Ironically, one of my first major assignments was to make 8x10 fine-art seascape images of the Big Sur area for a major computer company! It was December of 1980, and I was headed to Carmel for Ansel's annual New Year's party. Since I had this new assignment, I was loaded with my 8x10 camera and lots of film. Just a mile-and-a-half south of Ansel's house, I stopped at a turn-out I had never bothered with before in all my trips up and down the Big Sur coast. Rocks and Mist was made that morning. It took an external impetus to force me to see the too-familiar as new.